Bushes of beautiful blue-purple snapdragon flowers thrive on a dry, rocky cliff. Inside are four pale stamens, two of which curl charmingly against the tube of petals. 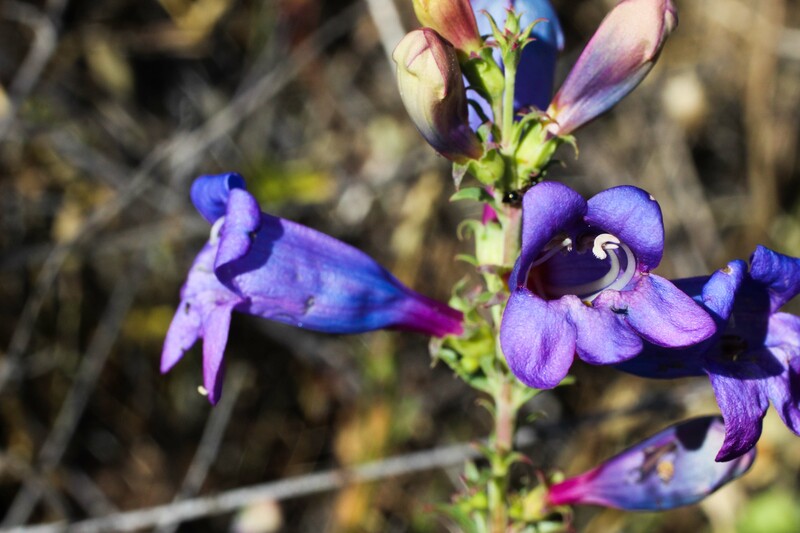 This is foothill penstemon (Penstemon heterophyllus). This California endemic is popular for gardens as it is deer resistant, drought tolerant, hardy, and attracts butterflies, hummingbirds and other pollinators. The narrow, opposite leaves are quite attractive too. Plus, one source says that these plants can live up to thirty years! Amazing. 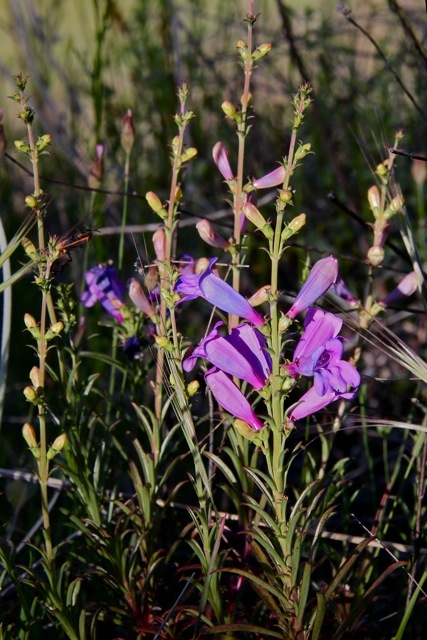 It is also known as bunchleaf penstemon. Very pretty and what longevity!